When one moves, or travels, to a new place, what’s the first thing one asks? Well, if that one is like me, or Mee Tsu Yan (that’s another story), one asks “Where can one find the best Chinese restaurant?”. So when this one and his Mini Mee planned a trip down to Florida, Tampa in particular, we did our research. Choices seemed limited to either Chinese Buffet restaurants (you know how this one feels about Chinese buffets), or Chinese take-out restaurants. Neither seemed appealing. 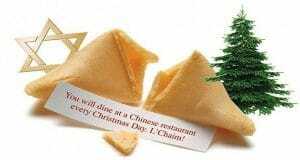 Thankfully we had a great reason to looks for a real, proper, and hopefully good Chinese restaurant because we were going to have dinner with my brother Craig. There was only one obvious choice it seemed, Yummy House China Bistro. 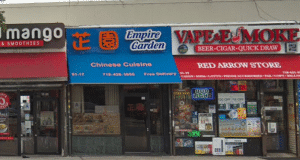 The only Chinese restaurant I eat … glad there’s more locations. My favorite Chinese bistro we know it by heart when it’s packed and when it’s not both in South Tampa and Hillsborough. We were sad when the one on Waters and Armenia was burned down . 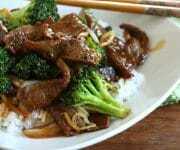 Yummy House China Bistro is located at 2620 E Hillsborough Ave, Tampa, FL 33610. Driving there, I thought for sure that Waze was leading me the wrong ways. 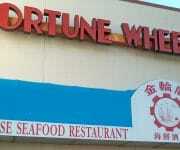 I just couldn’t imagine finding a nice Chinese restaurant in the area we were in. But, apparently the fine people of Tampa know all about Yummy House. By the time we left there were at least 20 people waiting outside for a table. The restaurant was gorgeous. The interior well adorned with various different pieces of Asian art. The waitstaff was knowledgeable and attentive. You will find many Americanized dishes on the menu. But what was served was fresh and full of flavor. The portions were enormous, and the food very tasty! We started off with Wonton Soup. 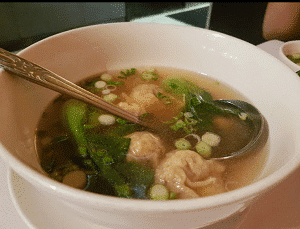 You can’t ordered one bowl, so we all shared enough Wonton Soup that easily could have filled up four bowls. The wonton wrappers were very thin and contained not pork, but Shrimp. The vegetables were excellent and the broth just right. Not salty at all. This was a well received soup. We were off to a great start! 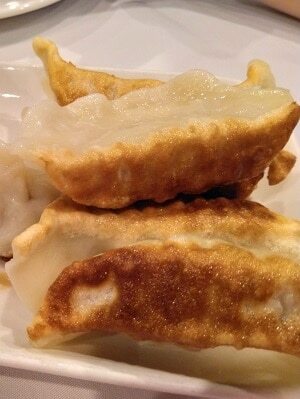 Mini Mee ordered the Pot Stickers, which were the only dumpling-like dish on the menu. He rated them one and a half thumbs up. He doesn’t like to talk with his mouth full. In addition he ordered Young Chow Fried Rice for all of us. 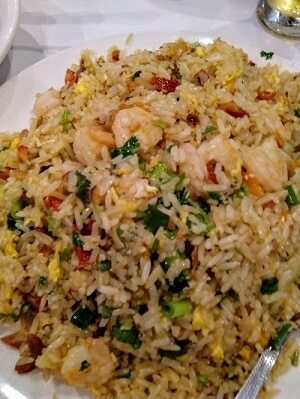 The rice was most delicious, the shrimp just right and a nice mix of the usual Young Chow ingredients as well. Apparently brothers share more than just the same Father, they share similar tastes as Craig and I both ordered Shrimp and Scallop dishes. Craig had it prepared with Spicy XO Sauce. Sautéed tender scallops, shrimp and snow peas served in their classic spicy XO sauce. 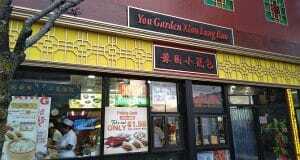 Craig pronounced this the BEST Chinese food he ever ate! He can’t wait to go back with his family. 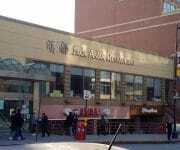 Craig, for a special treat take your family there for Dim Sum (served during lunch hours) on the weekend. Take LOTS of pictures and try many different dishes. 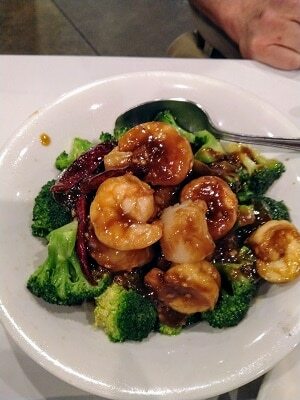 I had my Shrimp and Scallops with Black Bean Sauce. 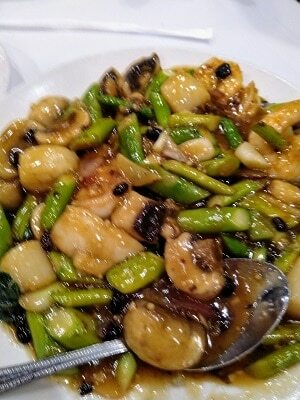 Sautéed tender scallops, shrimp, asparagus and fresh mushroom in their original black bean sauce. The shellfish were huge, tender, and delicious. After tasting Craig’s dish, I definitely preferred what he ordered and would opt for that preparation instead. We know now why this restaurant was filled and people were waiting to get inside. 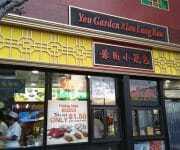 I wasn’t expecting to find such delicious Chinese food so far south from New York! 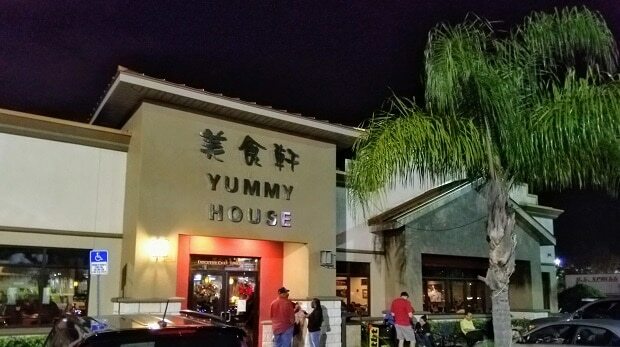 The good news is that if you are in Florida and want to go to Yummy House, you don’t have to go to Tampa. They have TWO locations in Tampa, and also in Sarasota, Gainsville, Altamonte Springs, Ocala, AND Orlando! 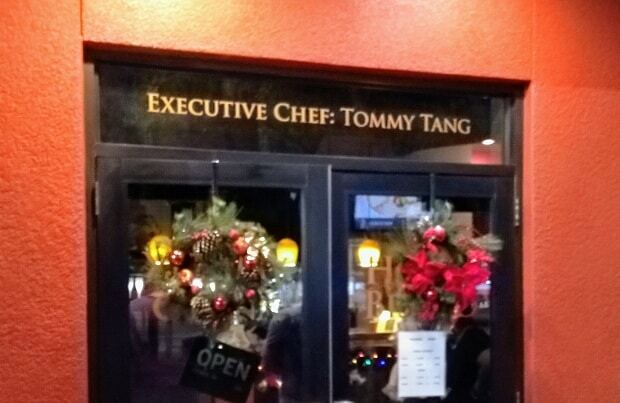 The Executive Chef at our Yummy House is Tommy Tang. You know, if they put your name up in gold right on the front door, they don’t expect you to be leaving soon. 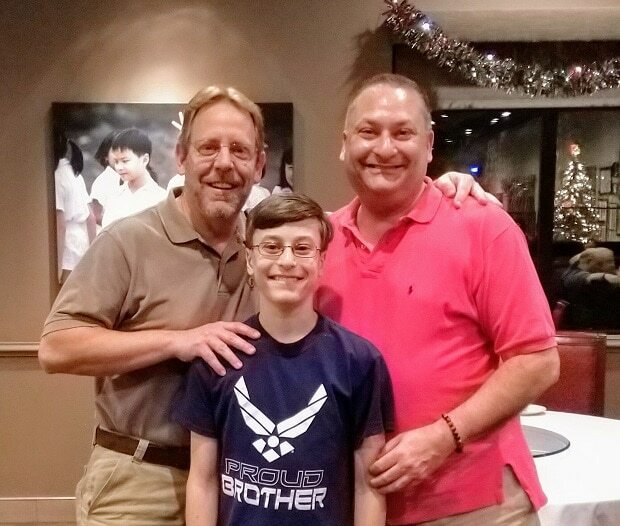 Since Tommy is going to be there, you can be sure that when you go, you’ll enjoy your meal as much as we did! Have you been to a different Yummy House in Florida? 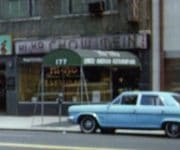 Who was your Executive Chef? 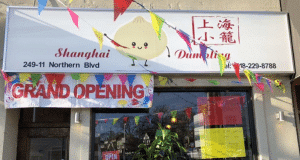 Did you go for Dim Sum? Chat us up with your comments below. I’m taking the whole family here next time I’m in Florida. Glenda Arong good to know the quality is the same in both locations. Please, for the Love of Budda…. 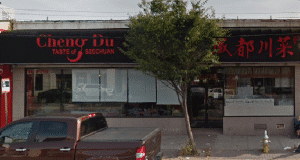 Come up to Tallahassee……We seriously need a good Chinese restaurant….. we are begging!!!!! 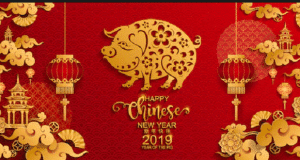 The Chinese Quest , and I see a road trip for Real estate in yours !!! 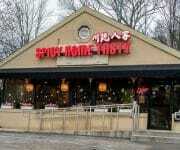 Have not eaten there, however there is a “Yummy House” in Ocala across street from H/D near Chucky Cheese . Also Panda Express . Can vouch for Panda, a bit pricey but good food. Pamelia LaBuda you will have time try Yummy House in Ocala. I think you will like it!